Champhai, Jun 11 : "What's in a name? That which we call a 'love potion' by another would taste as sweet," Shakespeare would have commented on the Mizoram winemakers' decision to do away with Zawlaidi (a love potion) as the brand name of their red pot wine. 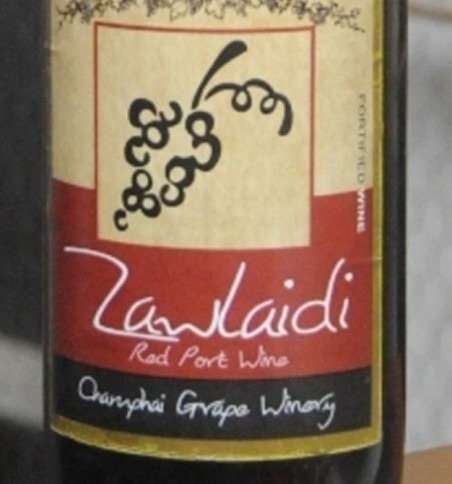 A general body meeting of the winemakers of Hnahlan and Champhai on Friday decided that the grape wine should now be called Zo Wine. Zawlaidi bottle has this line inscribed on its label: 'There is an old saying that a love potion once existed in the exotic land of Mizoram. A potion so powerful that once cast upon a person, they fall madly in love.' While many considered Zawlaidi a "wicked name", many others grape wine is not worth being called Zawlaidi. Along with its new name, the grape wine is all set for a new price of 42 rupees lesser than the previous, enabled by the state government's decision to exempt value added tax of Rs 21 and reduction of excise duty from Rs 10.50 to Rs 5.25 per bottle. The wine price has come down from Rs 197 to Rs 134 a bottle in the retail market in Aizawl. The wholesale rate per 750 ml bottle is fixed at Rs 105. After Rs 8 for transportation charge, Rs 5.25 excise duty and Rs 17.73 profit for vendors, the grape wine comes for Rs 134 in Aizawl. It costs Rs 136 in Lunglei, Rs 127 in Hnahlan, Rs 128 in Champhai, Rs 129 in Khawzawl, and Rs133 in Serchhip. The winemakers had alleged that due to the heavy taxes, many vendors have stopped placing orders last year. At present the Hnahlan winery and Champhai winery have a stock of more than two lakh bottles. The two wineries sold more than 15 lakh bottles last year. Around 80 per cent of the total 670 families in Hnahlan are engaged in grape cultivation, while in Champhai, a district capital near the Myanmar border, around 325 families are into grape farming.